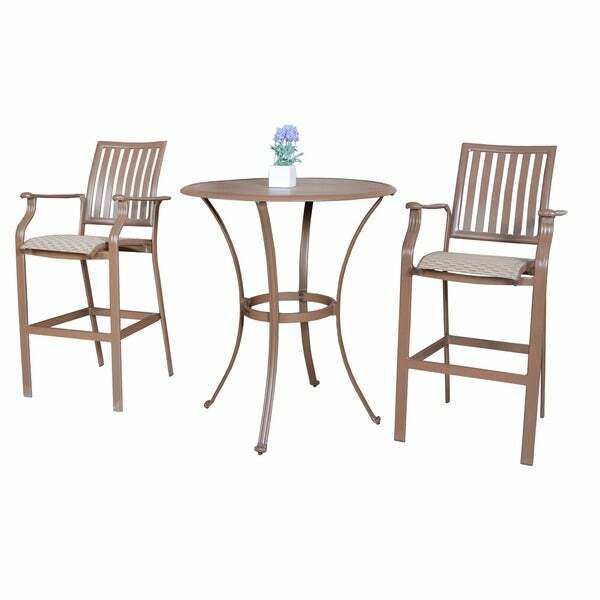 I wanted a taller set for my condo balcony in florida. View is so nice up high over railing. The only complain I have is it scratches easily and the scratches rust. There are little caps to go over screws but they just fell off. I would still order again. overall very happy with set. Add simple, tropical inspired seating to your outdoor space with the Island Breeze pub table and bar stools. Designed by Panama Jack, this espresso set is crafted with an extruded aluminum and accented with sling fiber to provide comfortable seating. Please note: This product will be shipped via Freight carrier and our Oversized Item Delivery/Return policy will apply. Please click here for more information.